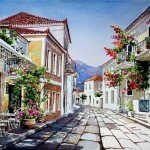 He did not notice how was falling in love with Greece more and more. 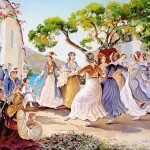 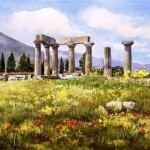 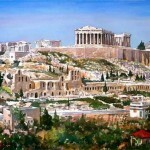 And it is not surprising that the native Athenian, a Greek artist Pantelis Zografos, draws his native land in this way. 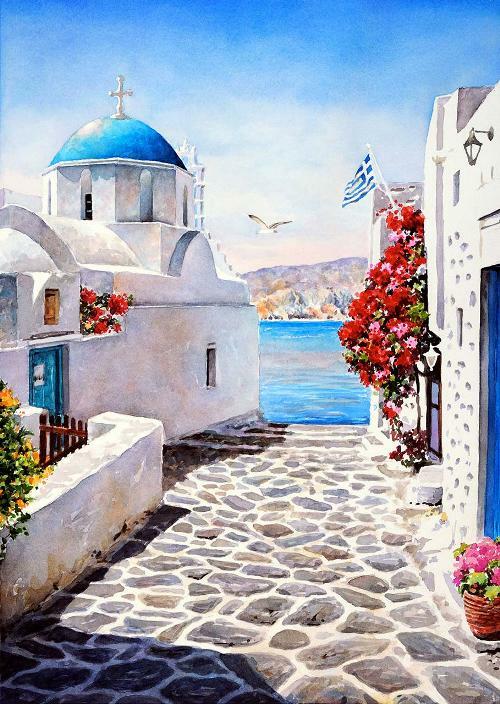 For 30 years, Pantelis Zografos does not live in Greece, but the love for the country calls him to the canvas and paints. 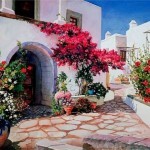 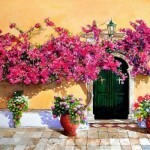 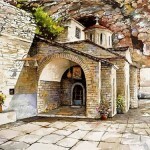 There, in his studio, he paints a watercolor Greece, gently and passionately. 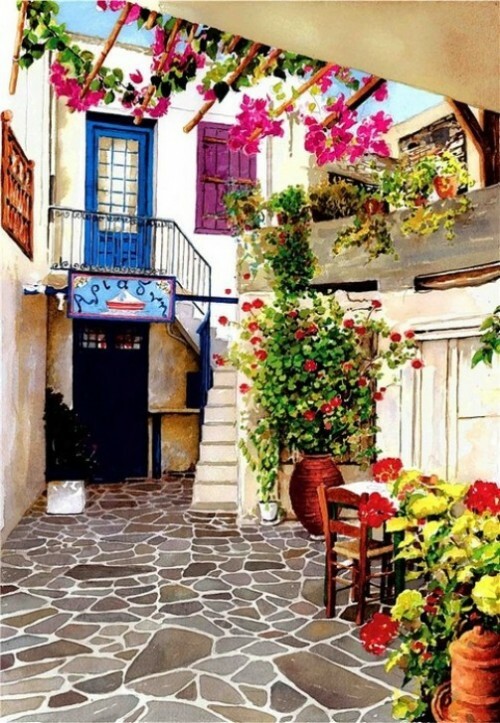 Meanwhile, his inspiration – parents who were in Athens, the warm sea, ancient history, the little old houses and streets paved with stone blocks. 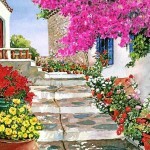 And the riot of greenery and flowers.